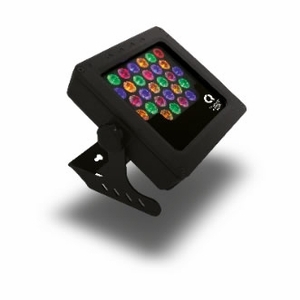 The Chroma-Q™ Color Force Compact™ is a powerful creative lighting tool that works in perfect harmony with the popular Color Force™ range. The Compact is a cost-effective workhorse, ideal for a wide range of applications. Utilising core LED technology from the Color Force range, the fixture provides 1700 lumens in a cost-effective, slim, compact profile, while maintaining colour compatibility with the rest of the range.